Delicious to dollop, our mayonnaise is naturally both gluten and additive free, and is, of course, high in Omega 3. Made to Eli’s unique recipe, our classic mayonnaise is free of both gluten and additives. It’s a delicious complement to any food. 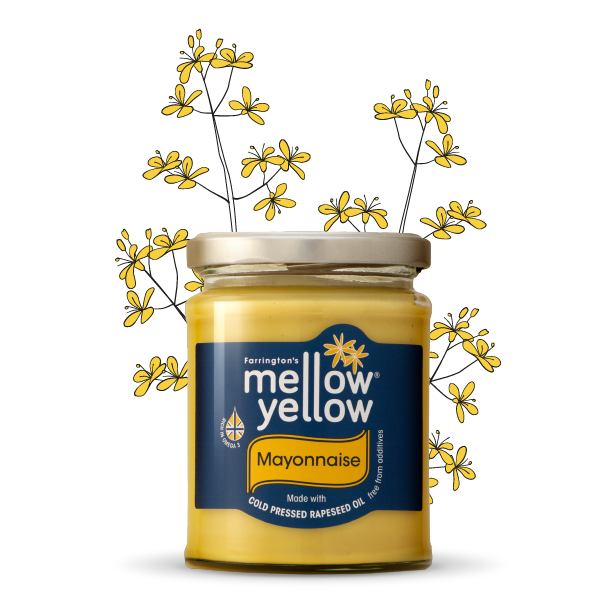 By blending our Mellow Yellow rapeseed oil with free-range egg yolk, adding just a hint of Dijon mustard and a splash of lemon sharpness we have created a mayonnaise that is delicious when dolloped alongside salads, seafood, meats, new potatoes or chips. Fresh flavour and perfect consistency, to whip up sauces, enliven tasty canapés, to make coleslaw, or as Nigella said “I am inordinately fond of Farrington’s MELLOW YELLOW Mayonnaise,” when creating a superior egg mayonnaise. 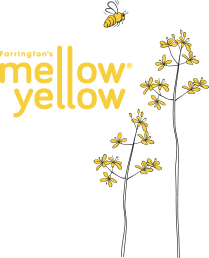 Mellow Yellow Rapeseed Oil 70%, pasteurised free range egg yolk 12.41%, water 5.5%, dijon mustard 50.43% (water, mustard seeds, spirit vinegar, salt), sugar 2.72%, white wine vinegar 2.72%, concentrated lemon juice 1.36%, salt.